The NJSFWC Advocates for Children program seeks to make a difference in our world by becoming advocates for children. Members may choose to organize projects that benefit children in their community, state, or the world. Please look at our supplement for ideas, projects and suggestions for your club to help children. Why do we need to do reports? Reports are the way we communicate in a succinct way the vast variety and impact of our club projects. The information we report to our NJSFWC Chairmen not only lets them know what each club is doing, but also might be used as the basis for decisions or action on the various projects. NJSFWC Mary Wolfe talks about the importance of reporting: "In all of the years I've been a member of NJSFWC, I've never heard anyone say they were looking forward to writing reports! However, women have said to me that, when the reports were finished, they were surprised and very proud of all their club had accomplished during the year. Without report writing, would your members recognize all they had accomplished?" So complete and submit your reports and be proud! IMPORTANT: To use the fillable report forms, YOU MUST DOWNLOAD THEM TO YOUR COMPUTER OR DEVICE. You cannot fill them out online and save them. To download, right click on the file name (or hold finger down if using a tablet or phone) and use the "Save as" command to save it to your computer. Then you can open it, fill it out, and save it. Where Should We Report It? There is so much more to art than canvas and paint! In generations past, the art of quilt-making was not so much about visual appeal as it was the necessity and resourcefulness to stay warm. And yet the quilts made by our ancestors and by women today are works of art. The avenues of art are only limited by our imaginations. NJSFWC Arts Creative Community Service Program encourages members to promote and support arts activities in their clubs, schools, and communities. It is designed to inspire clubwomen and ignite within them a desire to make their world a more beautiful place. The goal is to create programs and projects in a multitude of arts-related areas, both traditional and innovative, that cause the world around us to see and feel what they might have only once imagined. NOTE: ALL REGISTRATION FORMS ARE TO BE MAILED TO DISTRICT ARTS CREATIVE CHAIRMAN. District Registration Form 2018-2020 NOTE: Mail to District Chairman, not State Chairman! Photography Form 2018-2020 NOTE: Mail to District Chairman, not State Chairman! For plants, horticulture and other entries, visit the Conservation section. The avenues of art are only limited by our imaginations. The NJSFWC Arts Performing Community Service Program is desligned to inspire clubwomen to be creative with programs and projects that incorporate music, literature, drama, dance, theatre and more. The goal is to make the world around us see and feel what they might have only once imagined. Communications is a wonderful tool for clubwomen. And an important part of communications is Public Relations. Our main goal in communications is to get the word out to the public about who we are. We must publicize our clubs’ projects in order to let our communities know we exist. We must stress the important things our clubs do and the need that exists for our organization to make the community a better place to live. Whether our goal is recruiting new members, raising funds, or recruiting help for a community project, our clubs need to get the word out. Without communication and public relations, how will the women in our communities know that we exist? We are living in a wonderful age where social media is a constant reminder about what is happening in our neighborhoods. What better way to share your programs and projects than by using Facebook, Twitter, YouTube, Flickr, Instagram, and Pinterest? 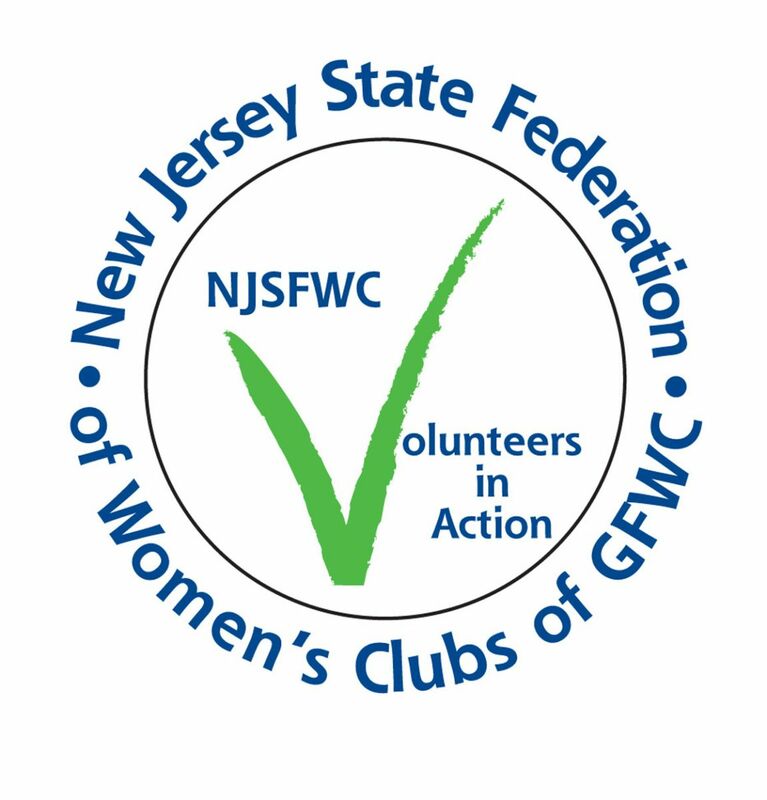 Clubwomen are encouraged to advance the NJSFWC’s priorities, projects, public policy initiatives, and community improvement endeavors by being heard in their communities. The Communications Report Form and Supplement have been REVISED. Please dispose of all previous copies and make note in your State Yearbook that there is a revised copy. Newsletter Entry Form--Deadline February 1! Scrapbook Entry Form--Deadline February 1! Pressbook Entry Form--Deadline February 1! The GFWC Community Improvement Program Award offers GFWC clubs financial incentive to implement projects designed to meet community-specific needs. The program has provided GFWC clubs with a platform for developing and implementing projects that meet the varying and changing needs of their communities. As GFWC’s longest standing project, it benefits clubs by increasing membership opportunities, developing leadership skills, and creating public awareness of club activities and GFWC. The NJSFWC Conservation Community Service Program encourages awareness of our natural resources and caring for the world around us. It offers information and ideas to promote environmental appreciation and protection. We work to preserve, maintain, and restore our natural resources; protect habitats for plants and animals; and develop sustainable habits. Our goals include environmental education; care for our air, land, and water; recycling; litter cleanup; partnerships with community groups, schools, and children; support of wildlife; energy conservation; tree planting; and beautification - this is what the Conservation Community Service Program is all about. We encourage all clubwomen to work to become more aware of conservation issues, enrich your communities, and become stewards of the environment. Enjoy the great outdoors! For art, craft and photography entries, visit the Arts Creative section. CONVENTION PACKETS WILL BE MAILED FEBRUARY 11. Documents will be posted here on February 13. From the 1996 Report of the International Commission on Education for the 21st Century and the 1997 Hamburg Declaration: Literacy, broadly conceived as the basic knowledge and skills needed in a rapidly changing world is a fundamental human right. There are millions, the majority of whom are women, who lack opportunities to learn or have insufficient skills to be able to assert this right. The challenge is to enable them to do so. Literacy is also a catalyst for participating in social, cultural, political, and economic activities, and for learning throughout life. Honorary Reading Sorority of the Education Community Services Program. All club members are welcome to join. For more information on the program, click here. The Margaret Yardley Fellowship Fund provides fellowship grants to deserving women who are New Jersey residents pursuing post-graduate advanced studies at the school of their choice. For more details about the grants click here to visit the MYF page. The State Spelling Bee will be at NJSFWC Headquarters on Saturday, March 2, 2019. The snow date is Saturday, March 9, 2019. Here are the materials that will help your club organize and hold a Spelling Bee in your community. GCI will be held June 3-June 6, 2019. To view our GCI video, visit the GCI project page by clicking here. The Home Life Community Service Program is designed to inform members of issues that affect the well-being of individuals, families and communities by providing opportunities and resources to meet and address needs through volunteering. Through this program, clubs may develop and implement creative projects that promote a healthy lifestyle; increase awareness, prevention, research, and treatment of disease; target personal development; address the issues of hunger, inadequate housing, and homelessness; and/or prevent or correct financial difficulties. Most club members care little about rewards and fame. We are volunteers. We work without expectation of rewards. And yet our outstanding members should be recognized, not only for their successes, but also for their efforts. Everyone has the desire to be appreciated, and the NJSFWC has several ways to help clubs reward members for their service. The Women of Achievement Awards represent an opportunity to acknowledge and reflect upon the extraordinary accomplishments of New Jersey Women and the impact these women have made on the lifestyle of our state. Women of Achievement Nomination Form--Deadline for 2019 is past. An award given at Convention to a Federation member whose accomplishments and service to the community fall outside club work. Honor Roll is a way to publicly honor club members for the work they have done for your club. The Honor Roll tribute is read at Convention and a brief tribute is inscribed in the Honor Roll Book kept at Headquarters. For club members who are already on the Honor Roll, the Order of the Lily is a way to further honor them for their service. For more than a century NJSFWC Clubwomen have reached beyond their communities to make a lasting difference in the lives of others throughout the world. We are all part of the global community and are not isolated from the issues effecting so many others worldwide. Issues such as hunger, poverty, preventable diseases, human trafficking, the lack of clean drinking water, and education know no boundaries. Half of the world’s population, more than 3 billion people, lives on less than $2.50 a day. Twenty two thousand children die each day from easily preventable diseases and over 600 million people do not have safe drinking water. The International Outreach Community Service Program is designed to give members the opportunity to become better world citizens and make an impact through education, advocacy, and action to affect change for others throughout the world. Bottom-up or top-down, leadership involves taking risks, being innovative, and promoting new directions. While some may talk about being born leaders, most of us can learn how to be a strong leader. Club, district, state, and national volunteers can become leaders by developing a clear and compelling vision for what one wants to become; establishing attainable goals; providing – and being provided – with encouragement and appreciation; behaving with an entrepreneurial spirit; and pursuing training and education. The GFWC Leadership Education and Development Seminar (LEADS) program is intended to identify GFWC members at the grass-roots level who have the potential and the desire to assume leadership positions in GFWC beyond their club. Participation in LEADS can help these members gain the capabilities, confidence, and commitment necessary to pursue and achieve higher office and serve with distinction. The LEADS program is held annually the day before the official opening of the GFWC Annual Convention. It is a full day of activities, and includes breakfast and lunch. Clubs and clubwomen are the local advocates for NJSFWC and GFWC’s legislative agenda. It is through the statewide and national network of grassroots advocates that the Federation gains its political influence. We are a nonpartisan, nondenominational organization. Clubwomen are allowed to advocate for policies or legislation, but NOT allowed by law to endorse candidates or engage in partisan politics. 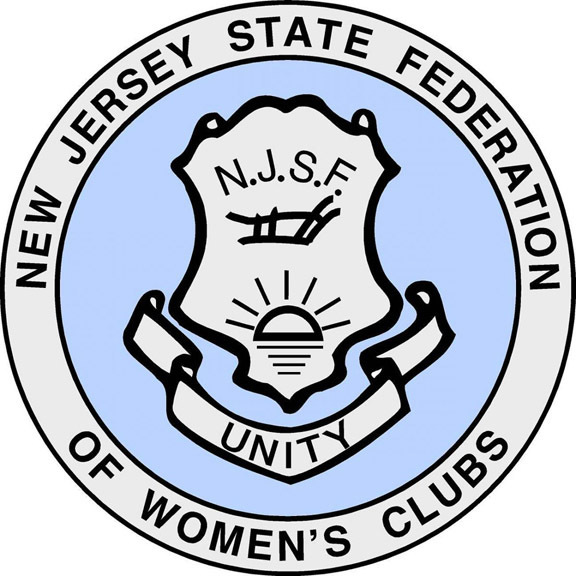 NJSFWC/GFWC members must separate personal political activities from official club or state federation work. The GFWC Legislative Action Center is a powerful tool for GFWC’s public issues and advocacy efforts. Track bills, contact your local representative and take action on issues germane to GFWC Resolutions. Click here to visit the GFWC Action Center. The NJSFWC is a network of support for the almost 7,000 clubwomen volunteering on local, state and national levels. Working together, we constitute a powerful, service-oriented organization that provides personal enrichment, leadership opportunities, and many other benefits to its members. NJSFWC provides the resources and support to help you and your club better serve your community. For District Chairmen and Contact Information click here. Operation Christmas Stocking wish list and instructions for 2019 to be posted spring/summer. The vision of CASA of NJ is that all children of New Jersey who have been removed from their families because of abuse or neglect are served by a qualified, well-trained Court Appointed Special Advocate. Court Appointed Special Advocates for Children (CASA of New Jersey), Inc.
NJSFWC members are passionate about volunteer service! Successful fundraising and development programs are necessary and important for the continued success of our organization as we strive to make a positive difference in our communities and our world. When we view fundraising and development as a tool that allows us to continue to improve lives, we are inspired to use that tool as efficiently and productively as possible. Web communications are the future. Every club should have some sort of web presence, a web page, a Facebook page, or some way for potential members to get information about your club. The only way for local clubs to grow is to attract new members, and in our world this means making information available on the Internet. If your club doesn't have any kind of web presence, the webmaster will be happy to create an informational page for you on this website. Just fill out our Web Page Information Form and email it or mail it to the webmaster. Click here for the Web Page Information form. Supplement--Ideas, projects, and suggestions--REVISED January 2019. PLEASE NOTE CHANGE! MEMBER IDs ARE NO LONGER NEEDED TO ACCESS MATERIALS! GFWC Communications & PR Newsletter September 2018--"SSL - Is It Important or Just Another Set of Initials They Want me to Remember?" CHAIRMAN: Denise Hosier, email webmaster@njsfwc.org or hosier@njsfwc.org. To download a logo or icon, right click on the link and click "Save as" or "Save target as" and then choose the location on your computer where you want to save. Choose the smallest logos for web use, the medium size for brochures and printed materials, and the largest for signs and posters. History helps us learn who we are. Recognizing the achievements of women in all facets of life – science, community, government, literature, art, sports, medicine – has a huge impact on the development of self-respect and new opportunities for girls and young women. The impact of women’s history might seem abstract to some, and less pressing than the immediate struggles of working women today. But to ignore the vital role that women’s dreams and accomplishments play in our own lives would be a great mistake. We draw strength and inspiration from those who came before us – and those remarkable women working among us today. They are part of our story, and a truly balanced and inclusive history recognizes how important women have always been in American society.